Are you considering settling your North Carolina workers’ compensation case? Has an adjuster or an attorney representing the workers’ compensation insurance company asked you to settle or “clincher” your workers’ comp claim? If you are thinking about settling your NC workers’ comp case then there are a few very important things to consider. Unfortunately there is no workers’ compensation settlement calculator. Each case must be carefully evaluated based on a number of factors. A workers’ comp settlement in North Carolina is often referred to as a workers’ compensation clincher agreement. A settlement or clincher resolves all of the issues in your North Carolina workers’ comp case. This includes all past, present and future wage replacement or disability benefits, as well as all medical treatment. After your workers’ comp case is settled the employer or its workers’ comp insurance company will pay no further benefits. Not every workers’ compensation case in North Carolina should settle. In fact some cases should never settle. A badly injured worker who will never work again and will likely require ongoing medical treatment will often do better by letting the workers’ compensation insurance company pay ongoing disability and medical benefits. This may be especially true if the worker is not eligible for social security disability or has no way to get medical treatment other than workers’ comp. While it may be tempting to clincher your workers’ comp case, it might be a mistake in the long run. The decision on whether to settle or not should include a careful evaluation of the benefits you are giving up. For this reason in most cases it is better to wait until you have received most or all of the required medical treatment, and reached the end of your healing period, which is called Maximum Medical Improvement (MMI), before looking at settling your NC workers’ comp case. Before your treatment is complete it is difficult to determine the cost of future medical needs, including doctor’s appointments, medicine, physical therapy and surgeries. You do not want to settle your case and then realize you need surgery and have no way to pay for it. So it is usually better to complete most treatment and the healing period before settling your workers’ comp case, especially in accepted cases, and where there are not other health coverage options. In addition to medical benefits you should also consider the value of the disability, or wage replacement benefits you are giving up by settling. This should include any remaining Temporary Total Disability (TTD), Temporary Partial Disability (TPD), Permanent Partial Disability (PPD) and Permanent Total Disability (PTD). This requires an accurate calculation of the Average Weekly Wage. An injured worker who is considering settling their NC workers’ comp case should also think about the effect on other benefits that may be available. This includes Medicare, Medicaid, private health insurance, Social Security disability, and private long term or short term disability policies. A workers’ compensation settlement must take into account any interest Medicare may have in payment of future medical expenses related to the workers’ comp injury or condition. Medicare disapproves of an injured worker settling his or her workers’ comp case and then asking Medicare to pay for treatment related to the injury. In some cases it is best to carve out part of the settlement and place it into a special Medicare Set Aside arrangement. In other cases this is not necessary. Social Security disability payments may be greatly affected by a workers’ compensation settlement. 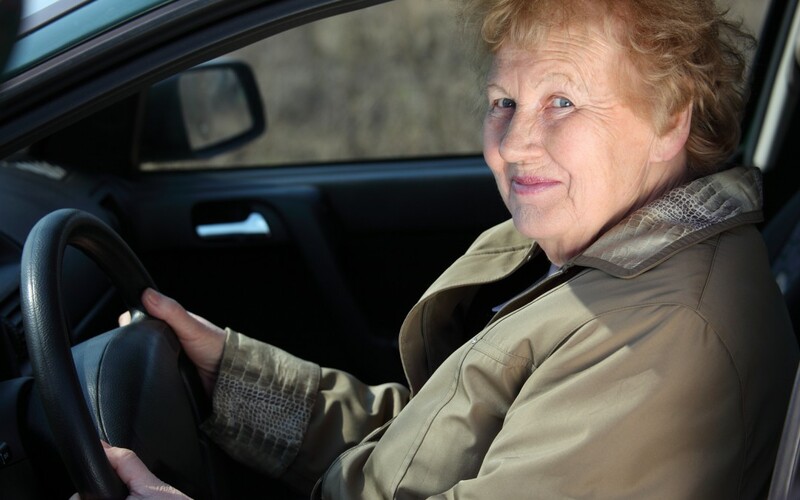 However the proper use of a Social Security disability offset may limit or even eliminate this problem. There are several methods for calculating Social Security disability offsets and the injured worker is allowed to pick the one that helps them the most. But you get one chance at it. Social Security will not recognize an amended agreement intended to correct a botched calculation. As you can see many times the bad effects of a settlement on other benefits can be reduced or even eliminated through careful planning. But settling a workers’ compensation case in North Carolina without considering how it may affect other benefits is a serious mistake. Finally, do not confuse the payment of a workers’ compensation disability rating with a settlement. Payment of a percentage rating does not automatically end your right to medical treatment. But it may start the clock ticking on the end of both wage replacement and medical benefits. Often it is not a good idea for an injured worker to accept the payment of a disability rating in a North Carolina workers’ comp case. Whether to settle your workers’ comp case in North Carolina workers’ comp case is one of the most complicated question your will face in your case. If you are considering settling you should consult a Board Certified Expert in North Carolina Workers’ Compensation Law. Please call or email for your free consultation with NC workers’ comp lawyer Kevin Bunn. Kevin practices workers’ compensation law in the Raleigh area. According to a study by AAA reported in the Charlotte Observer three people die each day in automobile accidents in NC. And some places are much more dangerous to drive than others. But Cary and Apex, NC, don’t make the list. Graham County, deep in the Appalachian mountains, is the most likely place to be in a fatal car accident in NC. Pitt County, which includes Greenville, NC, is the most likely place to be in any type of car crash in NC, and the second most likely for accidents that involve injury. Warren County has the lead in highest ratio of pedestrian deaths. New Hanover County, where Wilmington, NC, is located, is the third most likely location for an injury crash. Bladen County is fourth for fatality crashes. Wake County, where Raleigh, NC, Cary and Apex, NC, are located did not make the list for automobile accidents. 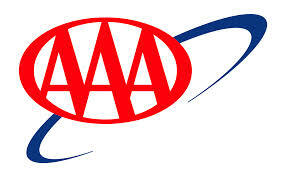 The AAA rankings take into account the number of deaths and miles driven by county. The article quotes David Parsons, CEO and president of AAA Carolinas, as saying that while accidents are decreasing, North Carolina still “ranks third behind Texas and California in the number of traffic deaths on noninterstate highways.” “It’s great to see a decrease in road deaths, but it’s still a concern when you consider that more than three people still die every day on North Carolina roads,” Parsons said. All crashes: 1. Pitt; 2. New Hanover; 3. Vance; 4. Person; 5. Stanly. Injury crashes: 1. Graham; 2. Pitt; 3. New Hanover; 4. Gaston; 5. Hoke. Fatal crashes: 1. Graham; 2. Alleghany; 3. Alexander; 4. Bladen; 5. Vance. All crashes: 1. Graham; 2. Stokes; 3. Transylvania; 4. Swain; 5. Hoke. Injury crashes: 1. Graham; 2. Stokes; 3. Transylvania; 4. Hoke; 5. Swain. Fatal crashes: 1. Graham; 2. Pamlico; 3. Camden; 4. Dare; 5. Yancey. All crashes: 1. Anson; 2. Northampton; 3. Greene; 4. Bladen; 5. Hyde. Injury crashes: 1. Anson; 2. Northampton; 3. Richmond; 4. Scotland; 5. Gates. Fatal crashes: 1. Gates; 2. Hertford; 3. Ashe; 4. Cherokee; 5. Northampton. Fatalities: 1. Warren; 2. Yancey; 3. Currituck; 4. Pamlico; 5. Cherokee. All crashes: 1. Polk; 2. Haywood; 3. Camden; 4. Jackson; 5. Swain. Injury crashes: 1. Camden; 2. Tyrrell; 3. Currituck; 4. Swain; 5. Perquimans. Fatal crashes: 1. Pasquotank; 2. Warren; 3. Washington; 4. Chowan; 5. Tyrrell.